Originally my Very Vanilla frosting recipe was my favorite American Buttercream... but now Cookies and Cream has taken its place as #1 in my heart! 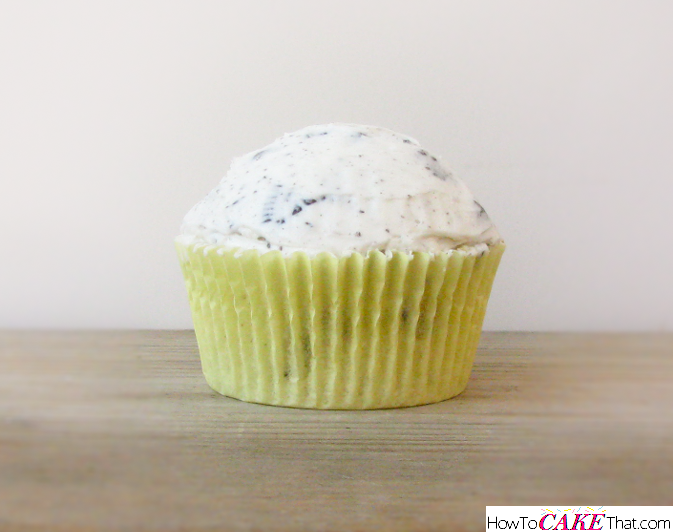 This is the most perfect cookies and cream frosting I've ever had! It has just the right amount of sweetness with the light chocolaty touch from the cookie pieces. It's SO VERY GOOD! 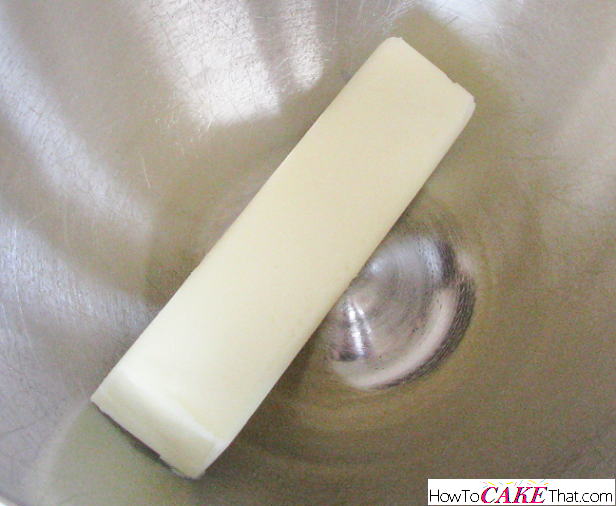 Next, place 1/2 stick (2 ounces) of salted butter in the bowl. 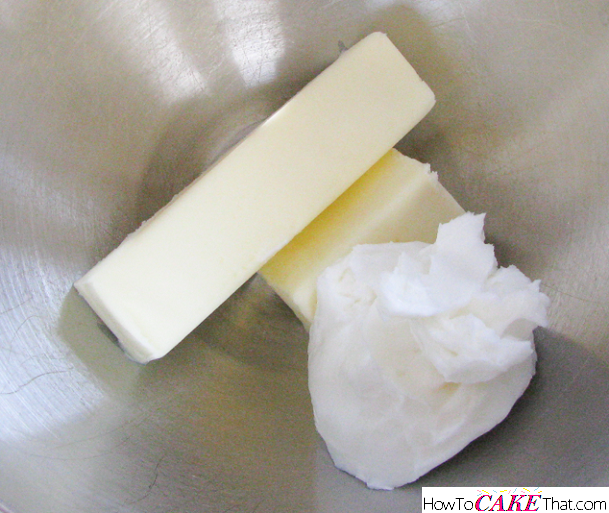 Place 1/2 cup of high ratio shortening in the bowl. Note: only use high ratio shortening, not Crisco. 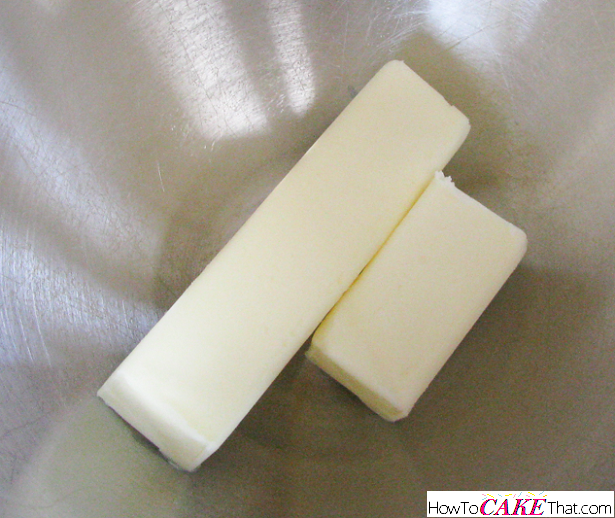 If you prefer not to use shortening, just use 1/2 cup of unsalted butter instead. 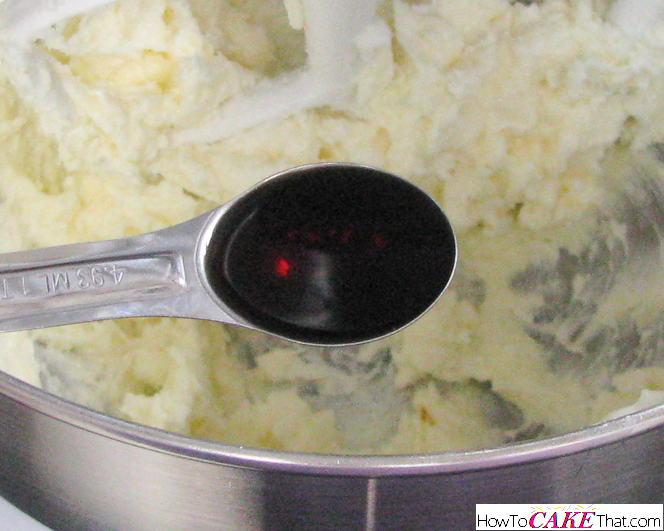 Using the paddle attachment, cream together butter and shortening. Next, add 1 1/2 teaspoons of pure vanilla extract. Blend ingredients together once more on low speed until vanilla is mixed in. Next, add 12 ounces of powdered sugar, a little at a time. Mix on low speed between each addition. Then add 4 tablespoons of milk. 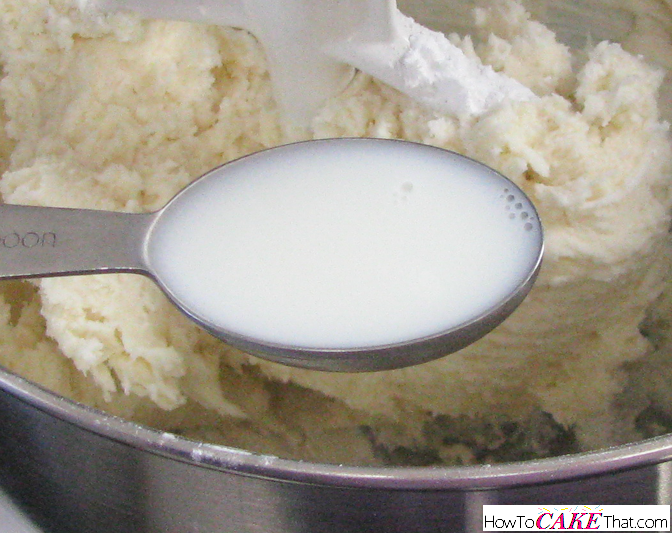 Mix on low speed until milk is completely absorbed into the frosting. 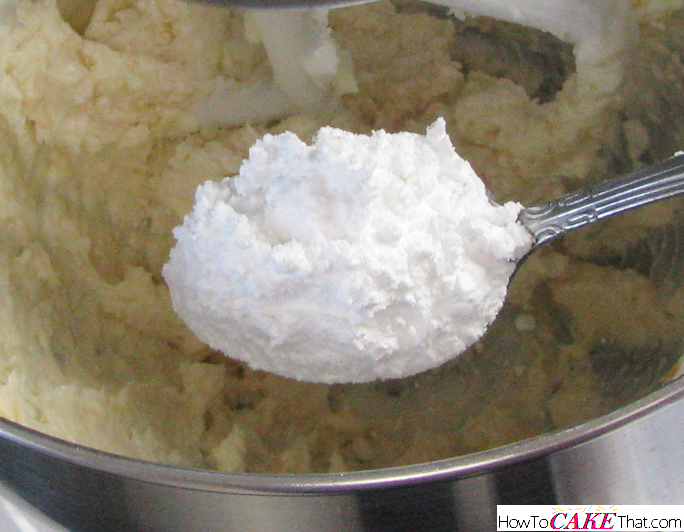 Turn mixer to highest speed and mix for 3 to 5 minutes until frosting is light and fluffy. 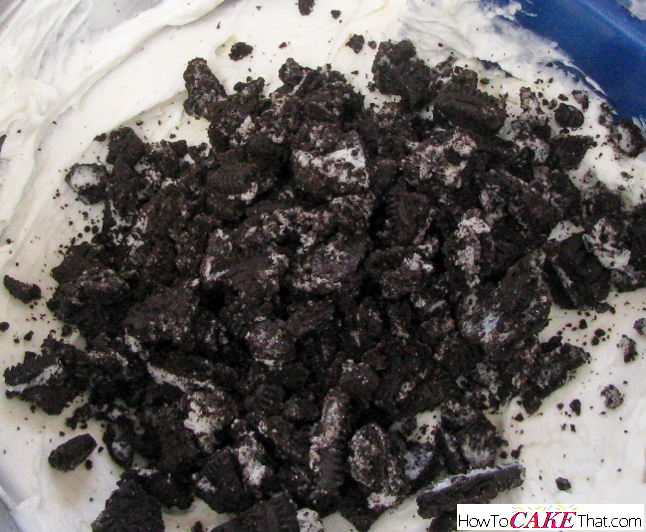 Crush 7 regular Oreo cookies until cookie pieces are very small and a good size for mixing into frosting. Keep in mind the cookie pieces will remain pretty crunchy, so if that is a problem just crush them up very fine. Using a rubber spatula, stir cookie pieces into frosting until well mixed. Mmmm... perfection!! 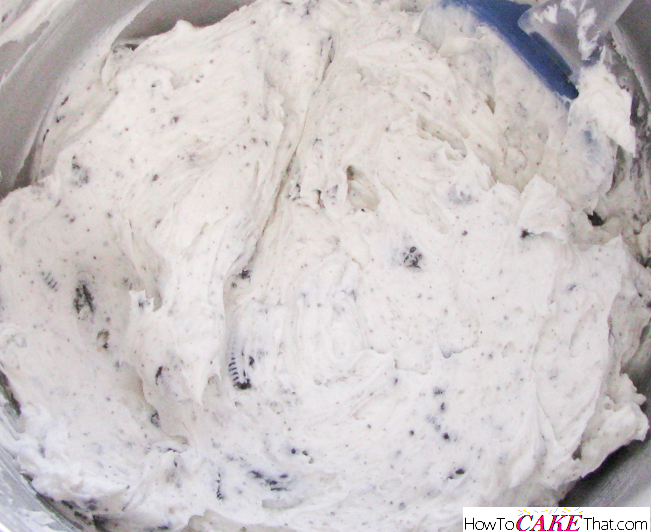 And that's how you make this awesome Cookies and Cream frosting!! I hope you have enjoyed this tutorial! God bless! !